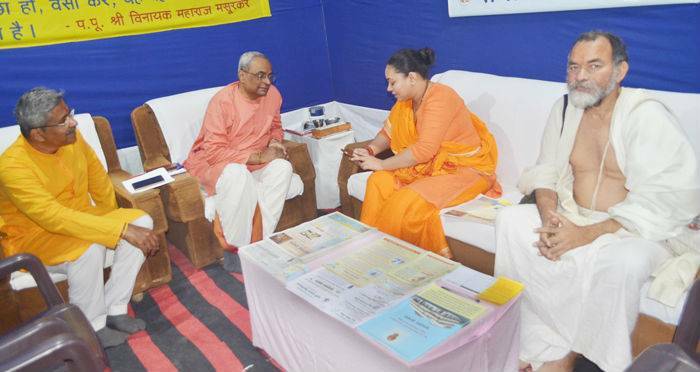 Prayagraj (Kumbhnagari) : Sanatan Sanstha’s ‘Paratpar Guru’ Dr. Jayant Athavale has undertaken a huge mission for teaching Dharma to people. 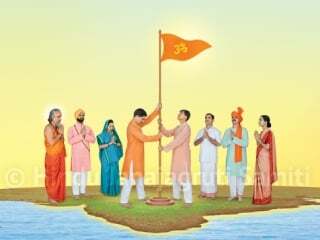 He is inspiring people through small little things to work for protection of Dharma and Hindu unification. I feel that He is doing divine work. One understands God, self and soul only with the help of Dharma. Need for Dharma was felt for good society, God realization and own progress even earlier and such need will be felt in every era. Sadguru (Dr.) Charudatta Pingale and his seekers are doing mammoth task of spreading Dharma. I also work for similar goals. 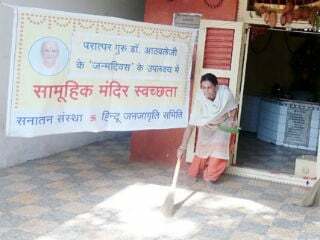 As per science, Dharma protects you when you protect Dharma, stated ‘Pujya’ Katyayanidevi, spokesperson of ‘Shriram Katha and Shrimat Bhagavat Katha’ during her visit on 8th February, to the exhibitions of books and ‘Dharmashikshan’ boards held by Sanatan Sanstha and Hindu Janajagruti Samiti (HJS). Acharya Gangasagar accompanied her. She had discussions on matters related to nation and Dharma, with Sadguru (Dr.) Charudatta Pingale, national Guide of HJS and ‘Pujya’ Nilesh Singbal, HJS-Guide for North-East India. A spiritual guide or teacher (especially one who teaches the students after their thread ceremony, and instructs them in Vēdās, laws of sacrifice and Dharma).